For former dialysis social worker, Marianne Wilson, there was always a compelling connection between the study of human society, its cultures, healthcare, and human behavior—so much so that an undergraduate degree in anthropology blossomed into a post-college job helping low income city homeowners in St. Louis and shortly thereafter, a degree in social work with a health concentration. “Choosing the health concentration in social work training related to previous research I had done on cultures that effectively utilize a combination of modern and traditional health systems for both medical and mental health care,” Wilson recalled. “This man’s life wasn’t easy. He worked overnights for a bakery, which, in addition to its routine production, made all of the buns for St. Louis Ballpark Village. Three mornings a week he went from work to dialysis,” she said. The patient didn’t want to go on disability so he had begun to look for a different job that would take less of a toll on his health. Having no luck with his job search for many months, he always remained pleasant, but Wilson saw him getting increasingly discouraged about his life as the summer neared. After observing that discouragement, Wilson used her Explore Transplant training to break through his resistance to the idea of kidney transplant. Though initially unsure of the impact of that conversation, two weeks later, Wilson asked the patient if he had thought any more about kidney transplant. After months of resistance to the idea of getting a transplant, he surprised her by responding that his wife and he had not smoked for ten days in preparation for transplant workup. He let her know that he had submitted an application to a transplant program and after a long string of evaluations, was approved for transplant. Wilson’s breakthrough was facilitated by the “Kidney Disease Quality of Life” survey that social workers throughout the U.S. administer to dialysis patients. It reveals people’s individual struggles with this debilitating illness, identifying aspects of each patient’s life that are most impacted by kidney failure and its treatment. “After the survey, I knew I needed to raise the matter of organ transplant with him again. I started asking the patient what improvements he wanted in his life and we discussed how getting off dialysis would help to relieve difficulties revealed in the survey. I also asked him what it was about transplant that made him not want to consider it,” Wilson said. The patient’s attitude changed and Wilson was able to do patient education with him about what to expect of the process of kidney transplant evaluation. After giving him an Explore Transplant film produced by Washington University School of Medicine, Wilson explained that the people in it were “real” St. Louisans discussing their experiences as donors, recipients, physicians who treat dialysis patients and others who do the surgeries. Though the patient’s wife was not a match to become a living donor, in July 2015 Wilson did arrive at work to learn that he had received a transplant. His case was unusual in that it took less than a year. “Explore Transplant training helped me to understand the Stages of Change model and how to use it to assess a patient’s readiness to consider behavioral changes to improve their health. Sometimes the obstacles perceived by patients are simple, resolvable things that they haven’t known how to overcome, resulting in discouragement about changing their lives for the better,” Wilson noted. No health care system has unlimited resources, and due to many interactive factors, not all patients are good transplant candidates. It takes a bit of time, observation and discernment to identify candidates most likely to succeed with this option. At the same time, Wilson remembers that far too few people were being educated effectively about this option before Explore Transplant was developed. After eleven years in dialysis, last year Wilson left the field to teach behavioral health courses for Southern Illinois University’s School of Dental Medicine. 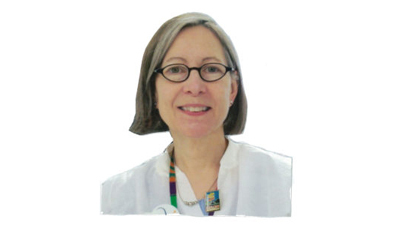 She continues to use the motivational interviewing skills she developed using Explore Transplant, along with other behavioral approaches to instruct dental students in how to help motivate their patients to improve and maintain good dental health. Even after moving away from dialysis, the educational and counseling approaches Wilson learned from Explore Transplant and the satisfaction of guiding many people to get kidney transplants stick with her.